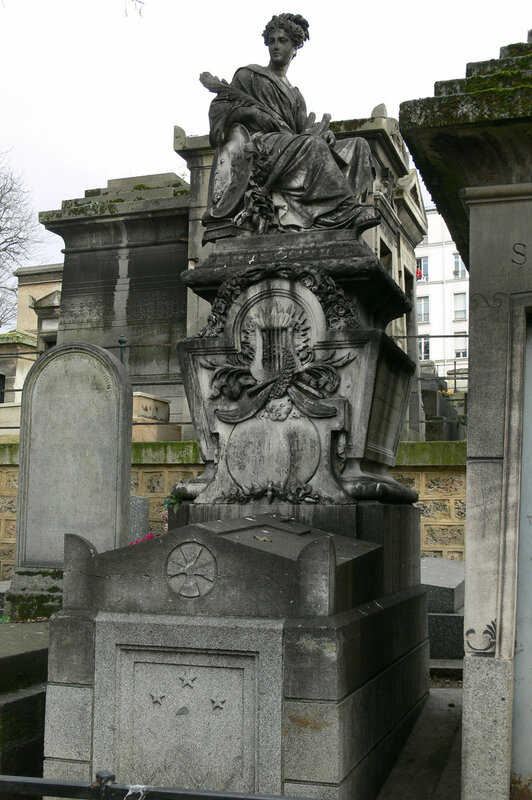 Théophile Gautier (1811-1872) was a French poet, novelist, and literary critic. Division 3. 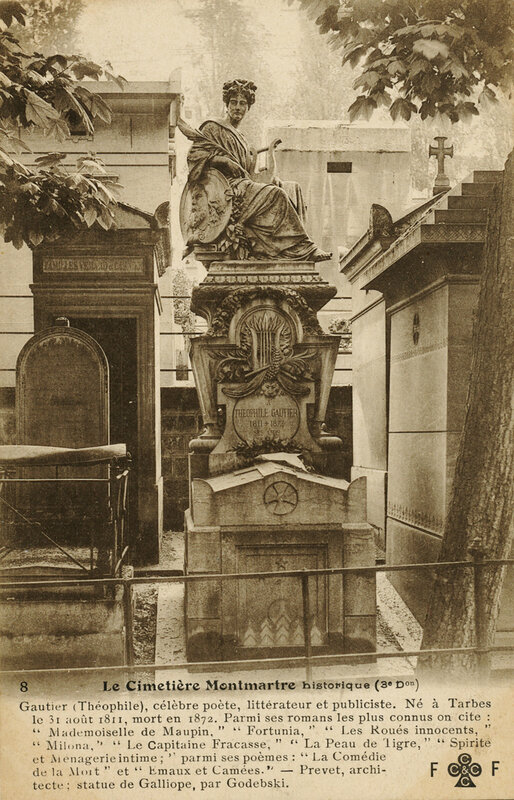 Description: Statue representing the muse Calliope (1875) sitting above and next to a medallion portrait of Gautier.